LENDINGKART Group has put together an all-star team with each one bringing excellent, complementary knowledge and experiences and coming together as one team to fulfil the mission of the company. Harshvardhan drives the primary aspect of business – designing innovative credit solutions and delivering them in the most simple and efficient manner to SMB’s. He started his career with large private sector and multinational banks in their small loan divisions. Early in his career he was intrigued by passion of small business owners who inspite of being credit worthy were not served by existing lenders. Credit decisions in banks take months. His vision is to implement Big data credit scoring with analytics and artificial intelligence. 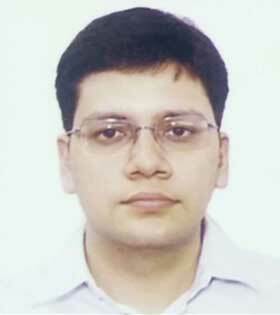 He is a Chartered Accountant and pursued his Post Graduation from ISB (Indian School of Business, Hyderabad). In his free time, he loves walking and exploring the world with his wife. Mukul brings to the table his expertise of detailed data analysis, be it complex financial statements or ‘seemingly simple’ bank statements. Mukul has an uncanny ability to identify patterns in unstructured data, identify relationships between two unrelated items – both at intuitive and technical level, which are of immense use in designing the Credit Scoring Model at LENDINGKART. 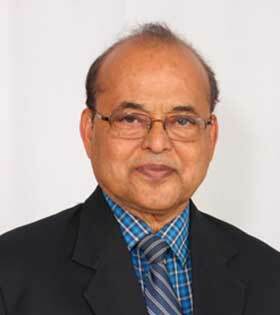 He derives the skills from his prior experience of working as a Scientist at ISRO. After his B.E. in E&C, he pursued his MBA from IIM-Bangalore and had the experience of working with top management on Strategy, BD and Finance. As Director of Portfolio Management in a reputed firm from Bangkok, he managed the portfolio of properties in Bangkok and New Zealand. 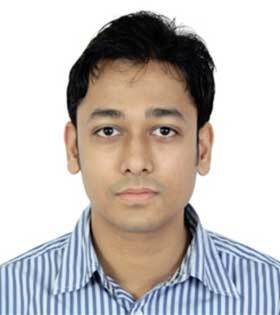 Mukul handles the function of designing the Decision System and the Operations at LENDINGKART. In his free time, Mukul racks his brain on technical analysis and astrology. An entrepreneur and veteran techie with more than 18 years of rich experience in leading technology innovation and execution for both startups and global technology giants. 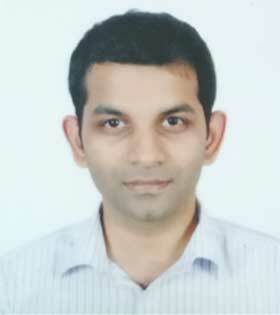 At Lendingkart Mukesh is responsible for driving technology strategy and execution. Prior to this, he has served in several strategic leadership positions in hot startups like Bitzer Mobile (acquired by Oracle), Sipera Systems (acquired by Avaya) and SirionLabs and in big technology giants like Amazon, Oracle and Texas Instruments. He holds B.Tech. in Computer Science from IIT(BHU), Varanasi and Executive General Management from IIM, Bangalore. He holds four US patents and 2 IEEE papers in the areas of scalability, security and cryptography. Paroma is a seasoned professional with more than 15 years of rich experience in leading businesses across financial services and consumer internet industries. 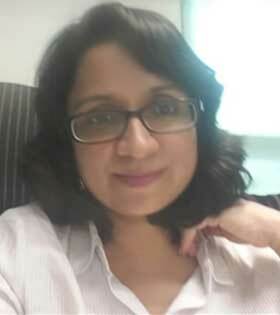 An MBA from IIM Lucknow, Paroma has successfully led businesses at marquee large-scale organisations like Flipkart, Bharti Airtel, and ICICI Bank among others. Prior to joining the Lendingkart Group, Paroma worked as the Chief Business Officer Via.com, where she led the global business of one of Asia’s biggest online travel companies with presence in India and 10 more countries in the Middle-East and South-East Asia. Paroma has joined Lendingkart as Chief Business Officer, with a vision to consolidate & grow the existing lines of business for the company, as well as to expand its footprint across other geographies. Her objective is to also introduce new channels & products to enable a more financially-abled environment for the vast MSME community. Ahsan is a techie by heart and executive by profession. At Lendingkart he is taking care of all the customer facing products be it website, customer dashboard, android application and getting more and more customers onboard. Prior to this, he was responsible for developing Foodpanda’s vendor platform and consumer app. Before this, he was running his own organization WebShrub which was into developing big data analytics solutions for telecom operators. Abhijit comes with over 16 years of experience across functions in foreign and Indian banks, after completing his PGDM from the Indian Institute of Management Kozhikode (IIM-K). 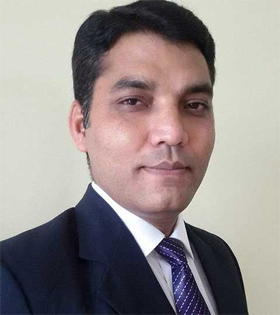 Over the span of his career, Abhijit has handled various assignments in Retail Banking, Trade Finance, Transaction Banking and Supply Chain Finance. Most recently, he was heading the Dealer Finance business for Indusind Bank. 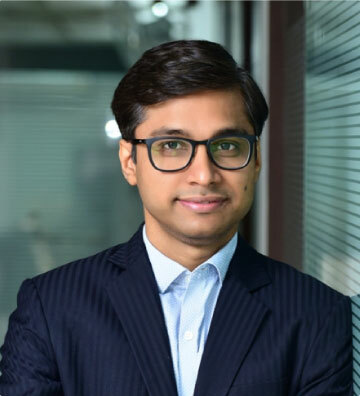 Abhijit has joined Lendingkart as Vice President and Head, Supply Chain Finance, with a vision to kick off Supply Chain Finance as the newest business vertical and tap hereto untapped segments of corporate linked businesses. Abhishek is responsible to oversee revenue operations and service excellence which includes driving long-term strategies, build high-end service capabilities to drive lead conversion. He brings close to14 years of diverse experience across e-commerce, Fintech, Financial services/Banking and International trade with proven leadership in business operations, P&L responsibility, vendor management and risk management. @LK, he has made notable contribution towards strengthening & executing strong performance management & execution to bring in operational synergies. Prior to joining Lendingkart, Abhishek has worked at Souq.com, Amazon.com, Citibank and Maersk group, where he has led and scaled large service and sales operations functions across MENA, USA, UK and Asia. AVP - Finance & Accounts Dept. Vikram Gandhi brings over 37 years of experience and expertise in Finance & Accounts, Taxation, Costing, MIS and Auditing. He manages and oversees various aspects of Finance & Accounts at LendingKart including fund flow, banking operations, tax assessments, audits, MIS and much more to ensure smooth and efficient operation of the business. 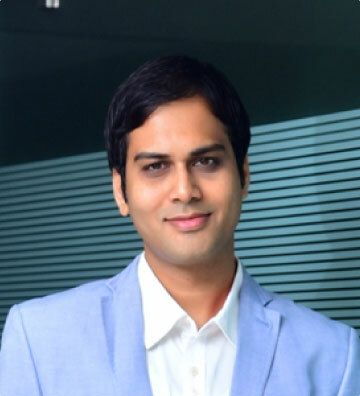 Prior to joining LendingKart, Vikram worked in the Silicon Valley in U.S. at ASA Computers in Mountain View, California, where he oversaw inventory management and credit analysis for the company. 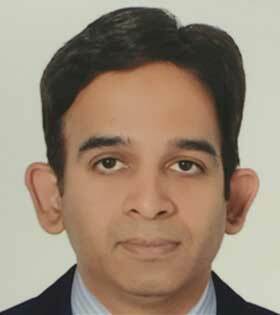 Prior to that, Vikram served as a Senior Executive of Finance & Commercial for thirteen years at Voltas Limited in Ahmedabad and Chennai, where he led several finance and commercial functions involving budget preparation, audit, taxation, accounting, closing of books and MIS. 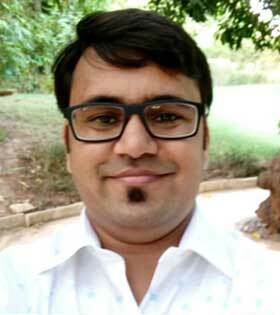 Prior to that, he also worked in Managerial Cadre for 3 years in Pure Beverages Ltd , Pepsico Plant at Naroda, Ahmedabad observing Accounts and commercial functions. Ms. Kumudini Aggarwal has been the General Counsel & Company Secretary of Lendingkart since November, 2015. She has over a decade’s experience in corporate commercial legal, governance, risk management, compliance and corporate secretarial matters. Prior to joining Lendingkart, she was associated with PDS Legal, where she worked as Corporate Counsel. She has also been a part of various corporate legal and secretarial departments of large corporate houses, some of whom were publicly traded. 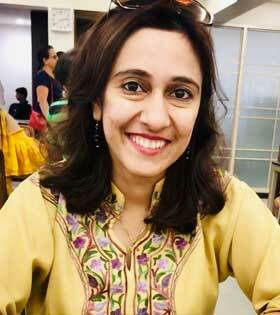 She is a qualified Company Secretary and a graduate in law from the University of Delhi. Piyush is an experienced finance professional with 12 years of experience in finance, accounts, treasury, taxation & fund raising. He has headed finance functions of healthcare chains , logistics co in past and was a trader at proprietary desk of Edelweiss Capital & Usha Group at start of his career. He loves doing fundamental & technical analysis on Indian Stocks. Uday looks after revenue from large strategic partners as well as part of the retail channel. Uday has a rich experience across industries, having worked at Deloitte, Titan and Headstrong Consulting, having led large sales teams and closed multi-year deals. Prior to Lendingkart, he led the entire sales and business development globally for Tracxn, a 450-people SaaS company based in Bangalore. 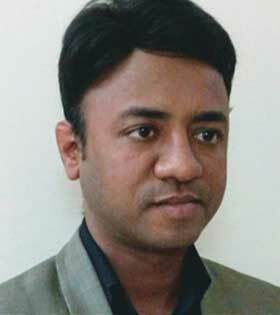 Uday studied Mathematics at St. Stephen’s College, Delhi and obtained a PGDM from IIM Lucknow. I am a finance professional with nearly ten years experience including more than eight years of experience in the field of Credit Underwriting, Corporate Credit Ratings and Financial Analysis. At present, I am heading the Credit & Operations division of Lendingkart. Previously, I was a part of the Corporate Credit Rating Division of ICRA Limited (a subsidiary of Moody’s Investors Services) and I have also worked with IBM India Private Limited as an Application Programmer. Over the course of my career, I have developed my skills in financial modelling, fundamental analysis, industry analysis, risk management, credit risk analysis, due diligence and business valuations. Rakshak currently handles the risk function at Lendingkart where he is responsible for overall risk management of the group NBFC. He has previously worked with a credit rating agency where he has worked on credit evaluation assignments of corporate entities from different industry segments including metals, pharmaceutical and real estate industry. After completing BE in Electrical Engineering, he briefly worked as a software engineer with Wipro prior to pursuing his MBA from NMIMS, Mumbai. Utsav leads the fund raising efforts at Lendingkart, primarily debt capital and manages the liability end of Lendingkart’s business. He is involved in formulating capital raise strategy, cultivating & fostering relationships with external stakeholders and managing complete process execution. 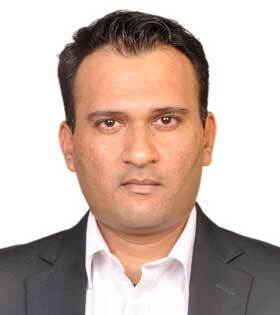 Prior to joining Lendingkart, he was working as Vice President in Investment Banking division of Axis Capital in Mumbai. During his career of close to a decade, he has been part of structured debt and equity fundraising teams in Axis Capital and Enam Securities. He was one of the early members of Structured Finance team at Axis Capital wherein he worked on multiple innovative structured debt transactions and dealt with fixed income investors like mutual funds, NBFCs, banks and credit funds, both at the domestic as well as global level. 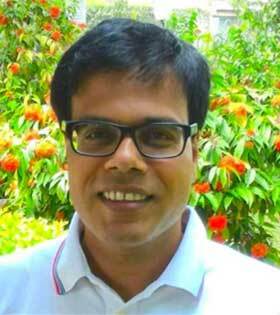 He graduated from IIT (BHU) Varanasi and further received his MBA from IIM Bangalore. Dillip is having more than 18 years of total experience in sales, credit, risk & collection at different BFSI organisation at different geography in handling the finance and retail asset loan products. Target driven, Process oriented, multitasking and customer focused BFSI professional with 19 years of professional experience in sales, credit, risk & collection with foresight and long-term vision. 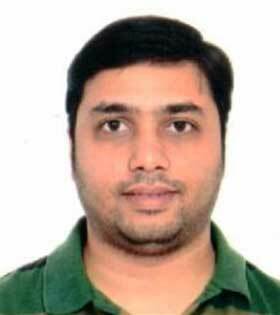 Prior to Lendingkart, have worked as National Collection Manager at Axis Bank. The other organisations where worked are GE Capital, Tata Motor Finance, ICICI Bank, Allianz Bajaj LIC etcs.